Exactly one year ago, markets were in a flurry as the rand reached and exceeded R11 to the US dollar. As usual, analysts rushed to predict where the trajectory was headed. In retrospect, we can say with confidence that those who predicted a downhill slope were the accurate ones. The rand hovered a little below R11 for a brief moment, hitting its strongest point at R10.43. But the strength was short lived: the currency began a steady downward trajectory from that point onwards. Earlier this month, it hit R13.90 and analysts began to scratch their brows about the implication of the new possibility of R14 to the dollar. Of course, while an overly weak currency does not spell out much good for the economy, the news means different things for different people – and different companies. Take a quick look below at a few key terms that explain what a weaker rand might mean for your cash flow if your business trades internationally. It makes sense to start off with a definition of foreign exchange exposure. This is the formal term that refers to the potential for loss or gain due to a change in the exchange rate. In their book ‘Financial management’, authors Carlos Correia, David Flynn, Enrico Uliana and Michael Wormald explain further. If your company owns a foreign subsidiary whose assets and liabilities are stated in terms of the foreign currency, then you will feel the effects of foreign exchange exposure, they write. If you purchased goods from a foreign supplier on credit and might still have to settle payment, your company will also feel the effects. Obviously, depending on how the exchange rate changes, your firm will also lose or gain on its foreign exchange exposure. Different kinds of exposure have different implications for cash flow. We explain three below. The authors define this term as “the effect that a change in the exchange rate will have on the recorded accounting results of a company”. Companies with subsidiaries on foreign soil will need to translate the income of their foreign branches into the local currency while preparing consolidated financial results. Because translation exposure does not affect the amount of money flowing into or out of the foreign-based subsidiary, it does not affect cash flow. As such, some refer to this it as “accounting exposure” – the theoretical loss or gain of the company should its income all be translated into one currency. In other words, this won’t affect the day-to-day running of your business, but it will look either good or bad on the books. Investopedia defines transaction exposure as “the risk, faced by companies involved in international trade, that currency exchange rates will change after the companies have already entered into financial obligations.” For example, your jewellery store places an order of diamonds from Canada. Payment for the diamonds is due on delivery of the goods, but your firm bills clients on the current costs of the diamonds. The diamonds arrive three weeks later. During that time, the rand has depreciated against the Canadian dollar by 20%. “Such exposure to fluctuating exchange rates can lead to major losses for firms,” notes Investopedia. The first place this is going to hit you is your cash flow. You budgeted on spending X amount on the goods; now, because of exchange rates, you are actually having to spend X plus 20%. The implication of this is that companies involved in international trade need to allow for a higher level of cash flow, especially in times of uncertainty. 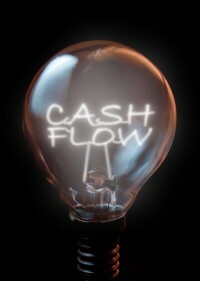 Your cash flow will ultimately need to absorb the uncertainty in the market faced by your business. Economic exposure is the catch-all phrase referring to how your company will weather ‘economically’ as it is exposed to currency changes. It is “the risk that a company’s cash flow, foreign investments, and earnings may suffer as a result of fluctuating foreign currency exchange rates,” says investing.com. For South African companies that import products or services as part of their offering, this has borne itself in losses over the past year or two. For exporters and those in the local tourism industry, though, this has meant a boost to cash flow and overall earnings. While the former companies are having to rein in spending and be extra strategic about their management of cash flow, the latter can look for new smart investment opportunities and ways to maximise on their additional incomes. Whether your firm’s cash flow has become tighter thanks to rand exchange fluctuations or whether you’re seeing extra waves of income, you need somebody with insight to help you make the right decisions during this time of uncertainty. Contact The Finance Team to find out how a qualified finance executive can assist in guiding your company on an interim or part time basis.